by CLAIRE ATKINSON. Published by NBC NEWS on 3 Dec. 2018. Midterm political campaigns spent an unprecedented $4 billion in 2018, a 43 percent jump since the last election cycle. 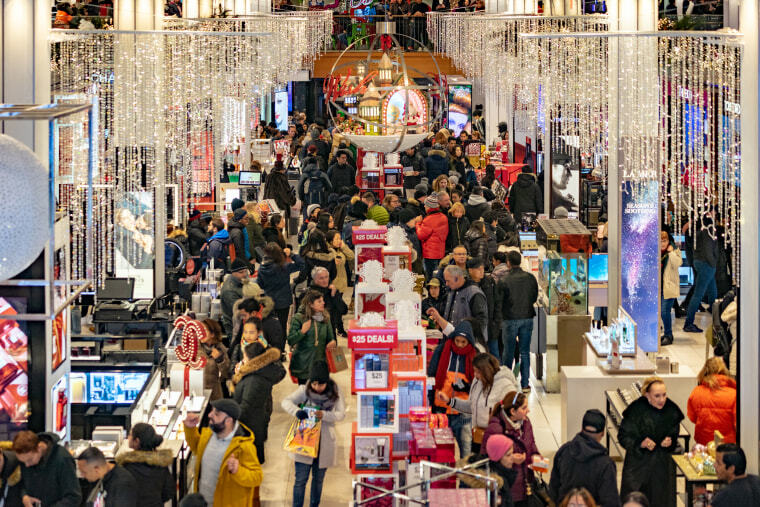 The robust economy and midterm elections contributed to a significant spike in ad spending this year, making 2018 the strongest year for growth since 2010, according to new advertising data released this week. Interpublic Group’s Magna report, published annually for the past 60 years, forecasts that 2018 will see a 7.2 percent jump in global ad spending, while 2019 is projected to be the tenth year of continuous growth. Spending within the domestic market grew slightly faster, at a rate of 7.5 percent, to reach an all-time high of $208 billion. Digital ad sales are expected to pass the $100 billion for the first time. Midterm political campaigns spent an unprecedented $4 billion in 2018, a 43 percent jump since the last election cycle in 2014, according to Interpublic. Campaigns spent an estimated $3.1 billion with local television, seeing a 28 percent jump versus the last midterms, while social and digital video also saw the first big investment from campaigns. Facebook and Twitter represented at least $400 million in political spending, while digital video operators such as YouTube and Hulu generated around $175 million. The direct mail category received $460 million, while radio took $150 million and $20 million went to out-of-home media such as billboards. Spending on mobile reached $71 billion. “What surprised us the most this year is political spending being so big,” said Vincent LeTang, Magna’s executive vice president of global market intelligence and the author of the report. “We predicted a 20 percent growth but we are looking at 30 percent,” he told NBC News. Other factors in the overall boost in ad spending are the strong retail sector, and tech firms upping their TV ad purchases. “It’s reached a new level, not just in the U.S. but globally; we’ve seen tech giants — Netflix, Apple, Amazon and Facebook — and even small digital players spending on traditional media,” said LeTang. However, despite the positive picture, LeTang says he is expecting an economic slowdown to come in 2020. Another survey paints a slightly less rosy outlook. WPP Group’s GroupM report, also released on Sunday, cites a weak auto market and a decline in consumer packaged goods as reasons for downgrading its U.S. numbers. GroupM suggests total market growth in the US of 2.9 percent in 2018, down from an earlier forecast of 3.4 percent. Globally, it is projecting 4.3 percent growth in 2018 and 3.6 percent in 2019. It notes that North America will likely see $206 billion of media investment in 2018. Adam Smith, futures director at GroupM, which allocates some $113 billion in spending on behalf of marketers, told NBC News that advertisers are taking more care to scrutinize every ad expenditure, but added that economists are in danger of talking themselves into a downturn. “There is no new bump in 2019 — only the promise of a yawning deficit,” the report warned.